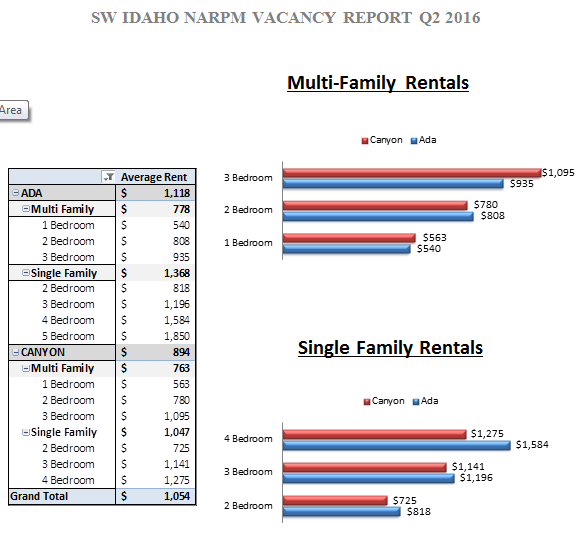 The below graphs from the SW Idaho NARPM Q2 Vacancy Survey Results show the average rents, average vacancies, and make up of single family and multi-family between Ada and Canyon Counties. 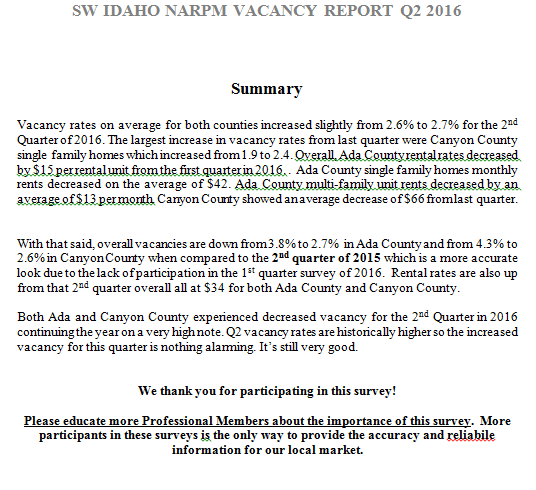 Vacancies are down from this same time last year, but up from Q1. 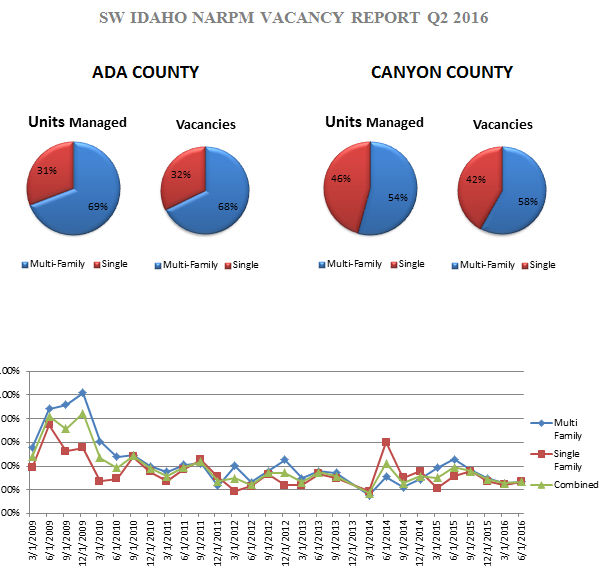 Its normal to see an increase in vacancy during this time of the year. 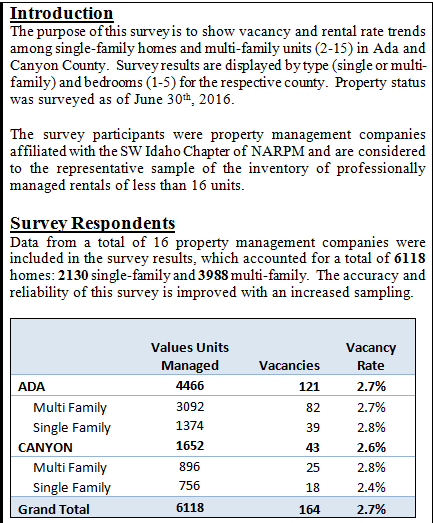 There are so many properties turning over, just the time to get them ready for the new tenant moves increases vacancy. So no alarm there. Rents remain strong. We don't expect much of change in Q3.